I am not really sure I agree with your description of the ansible as "mythical," however -- that's going a bit far. I invented it (with help from Shevek and some other people) and the fact that it doesn't physically exist is really neither here nor there, is it? It's a perfectly practical device. Nothing mythic or mystic about it. I think you must be aware of that since you named your company after it." 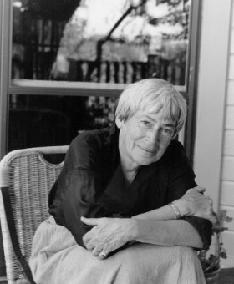 For more about Ursula K. Le Guin .